Authors : Wilding N., Hedderson T., Ah-Peng C & Malombe I. This guide was produced in the framework of the Kenyan Coastal forest project funded by the Indian Ocean Commission (FED/20015/358-516-SVC-101). 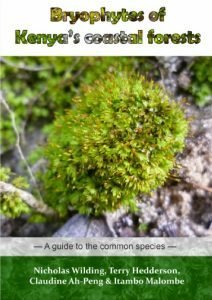 This field guide presents 20 species of bryophytes (12 mosses and 8 liverworts) commonly encountered in Kenya's coastal forest region. Each species is accompanied by high quality images and easy to understand descriptions. A glossary of terms is provided as well as further reading and references on African bryophytes. The guide is the result of the collaboration between the University of La Réunion, National Museums of Kenya and the University of Cape Town. It follows a visit in Kenya of Pr. 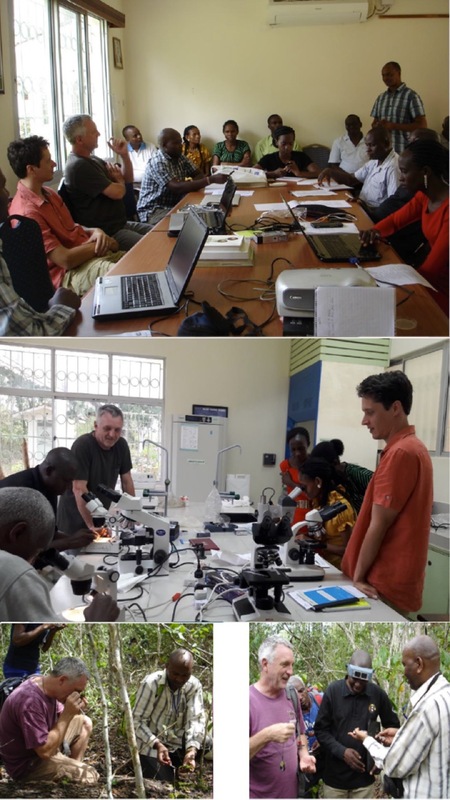 Hedderson T & Dr. Wilding N. for a taxonomic workshop and field sessions in coastal forests, accompanied by IOC delegates and hosted by Dr. Malombe I. This guide is currently only in a pdf format and can be requested directly to nicholaswilding.at.gmail.com. Ce contenu a été publié dans Collaborations, missions, publications par . Mettez-le en favori avec son permalien.